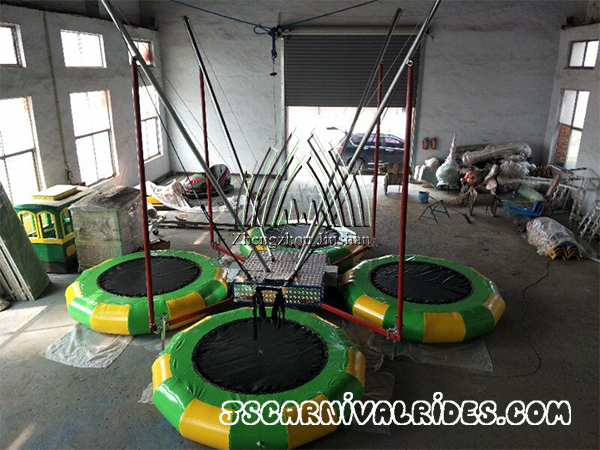 4 Person Inflatable Bungee Trampoline with Trailer is the most popular children playground equipment at present. 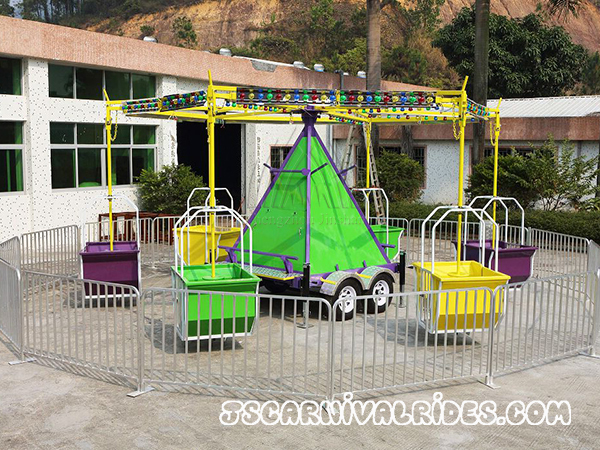 You can start your entertainment business with bungee jumping trampoline easily for it’s cheaper than most of other playground equipment. Let alone it’s convenient and flexible for installation and removal, solid and convenient transportation. 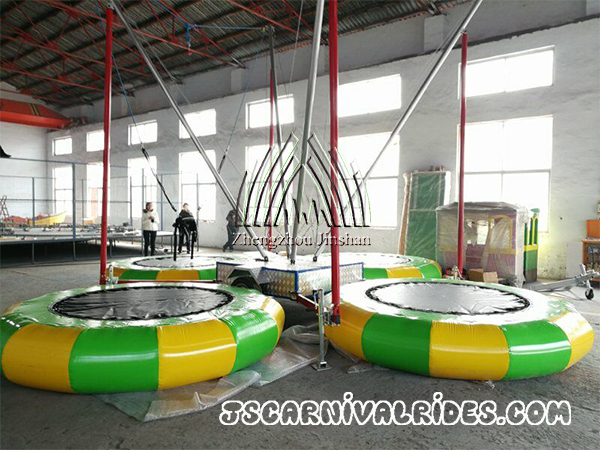 Trampoline bungee not only bring joy and happiness to the tourists, but also bring a good return to the operators. The bungee trampoline is composed of jumping bed, pair of elastic cords and supports. 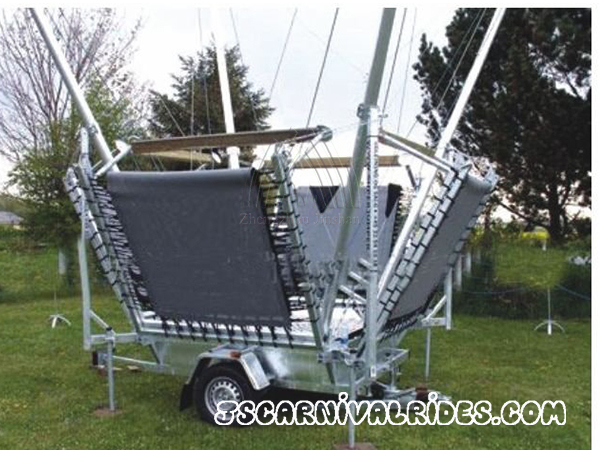 The bungee cord trampoline can make tourists jump to 4 meters high and do many rolling over movements up and down. What a wonderful experience. By playing bungee trampoline, you can increase your body coordination in the air, and exercise your joints and muscles by the unique pull, which is both fitness and entertaining. 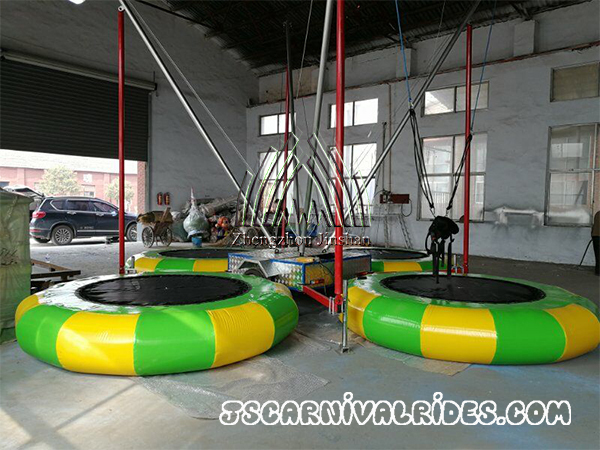 Bungee jumping trampoline is a kind of competitive sports that full of athletic skills. It belongs to gymnastics and always known as “Air Ballet”. 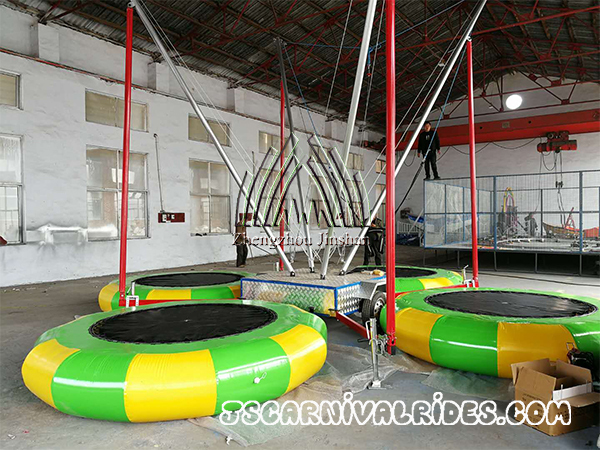 The bungee trampoline is one of the best playground equipment that help to improve children’s comprehensive quality, as it not only fitness, but also make children become braver. 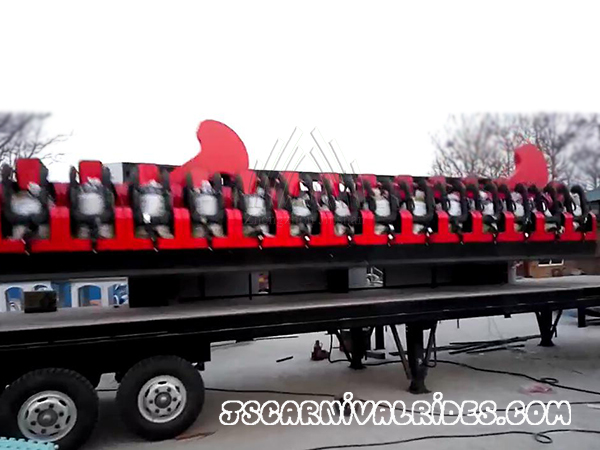 $5 per time per person, running 10 minutes each time. 6 players can play within an hour. You also do trampoline rental business.